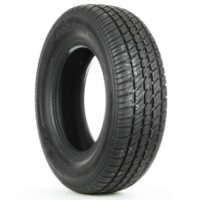 All-Season Classic Passenger Car/Minivan tire. Featuring Raised White Lettering Style for those who want to retain the Characteristic "look" of their Classic Muscle Car. This tire is not available, but our inventory is changing everyday. Check back later or we can notify you when the tire becomes available.